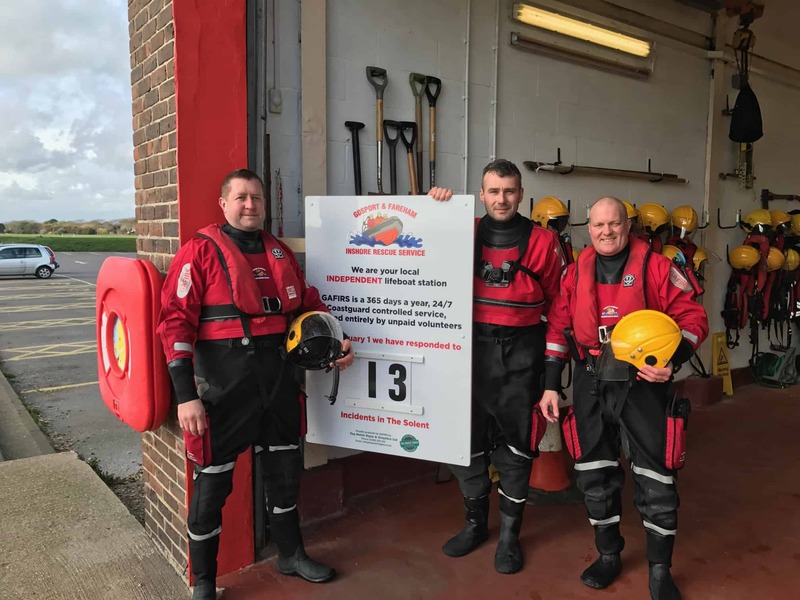 A sign company has used its expertise to create a new status board for an independent lifeboat station. Top Notch Signs, based at Heritage Business Park, Gosport, created the sign for Gosport & Fareham Inshore Rescue Service (GAFIRS) which will be used to clock up the number of rescues the charity has attended. Made from metal and sign-written by the specialist firm, the status board has now been installed at GAFIRS’ lifeboat station at Stokes Bay, Lifeboat Lane, where it displays the number of incidents the volunteer crews have attended in the year. GAFIRS fundraising officer James Baggott said: ‘Members of the public often walk past our station when we’re on duty and ask what we’ve been up to. Last year we decided to put up a hand written board with some information about us and the number of rescues we had carried out for the times we weren’t there to chat to them. Steve Houston, managing director of Top Notch Signs, said he was delighted to be able to help a local charity like GAFIRS. The sign has been designed so the number of rescues can be easily changed with numbers slotting in place and GAFIRS will be updating it throughout the year. So far this year, GAFIRS has been launched 13 times by UK Coastguard. GAFIRS is an independent lifeboat station based at Stokes Bay Gosport, run entirely by volunteers, on call to the Coastguard 24 hours a day, 365 days a year.